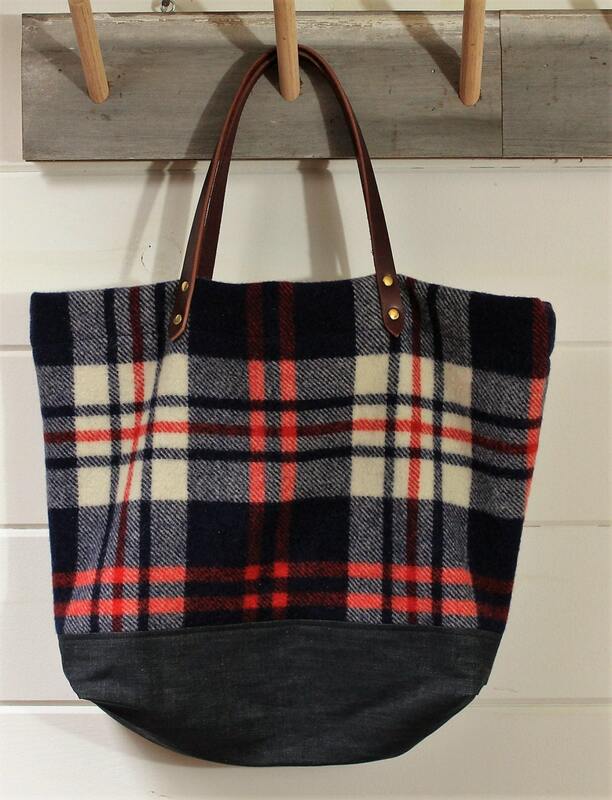 The fabric for this tote comes from a vintage wool plaid blanket that was made in England. 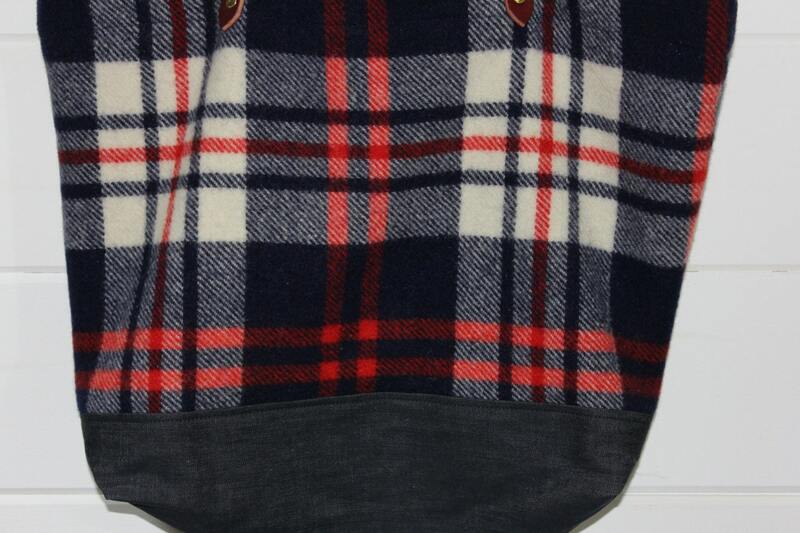 The wool blanket is very thick and soft and is in excellent condition. 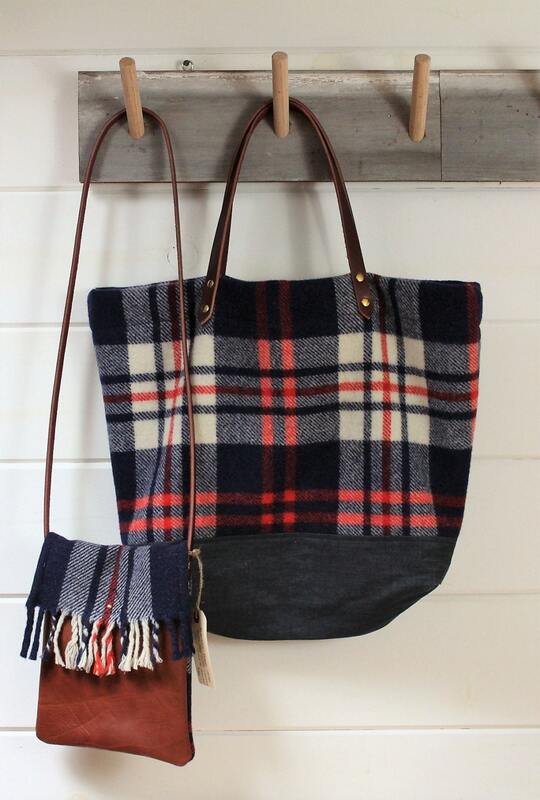 The colors of the plaid are cream, red and navy and has a beautiful fringed edge that I utilized for the inside hem of the tote. The bottom portion of the tote is made of Japanese selvage denim. 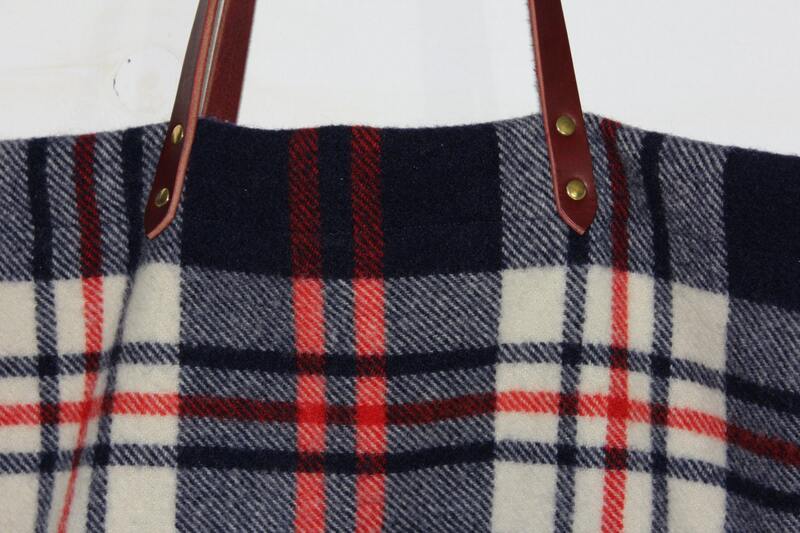 The bag is fully lined with a cotton navy sheeting cloth. 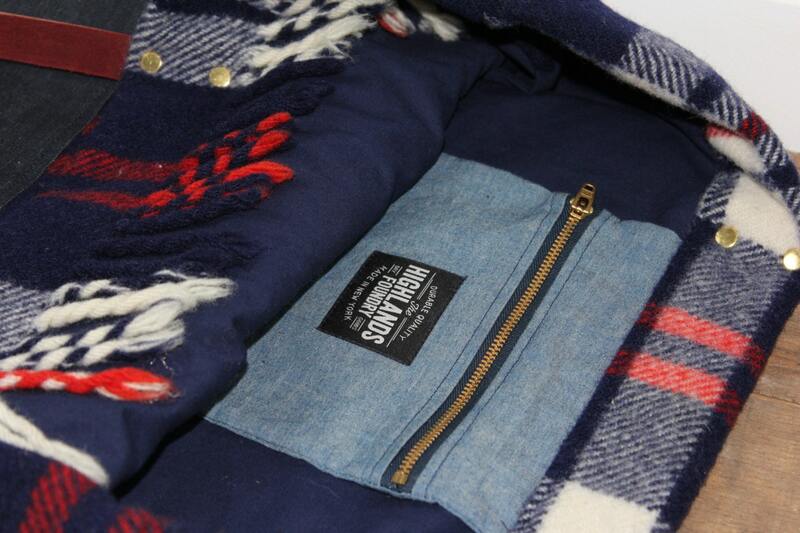 There is an interior pocket with a zipper closure made from blue cotton chambray. The shoulder straps are a heavy brown latigo leather. They will continue to just get more beautiful with time.